Scientists associated with great experiments in Geneva say that they have received a glimpse of the Higgs boson or God particle. It is understood that this is an invisible element, so that any basic particle (Fermiyan or Bosan) gets mass. But scientists say that for some decisive proof they will have to experiment more in the coming months. Over the last two years, the scientists are searching for an invisible element called Higgs Boson or God particle, by colliding with particle particles in a 27-kilometer long tunnel on the border of Switzerland and France. This is being called God particle because it is an invisible-unknown particle due to which the creation of the universe could be possible. If the scientists are able to find this element then the curtain will be curtained on the many mysteries related to the creation of the universe. So far billions of dollars have been spent on this research and about eight thousand scientists have been working continuously for the last two years. In the huge Hadron Collider, which is being called LHC or Large Headron Collider, the particles have been collided with the speed of light, from which the same situation arises, just as it was at the time of Big Bang incident just before the creation of the universe. Very advanced equipment have been installed in the 27-kilometer long tunnel. Protons for the great use were run in the speed of light from two opposite directions in 27 kilometers of spherical tunnels. According to scientists, proton particles span more than 11 thousand of the 27-kilometer long tunnel in one second, during this process, protons hit each other at special places, which generated energy. More than 60 million incidents of collision of protons in one sec, the scientific details related to this collision were recorded by special equipment on special inspection points, the intensive scientific analysis of those statistics is now being done. More than 100 megabytes of data has been collected every second, and the scientists want to see that when the protons hit each other, was there any third particle present, so that protons and neutrons are interconnected, resulting in mass or volume composition. "The scientific understanding of all the facets of our understanding of nature and science has been confirmed, we understand how the creation of the universe, in which the same link is incomplete, which we know as a principle but its There is no confirmation of survival. The only incomplete link is Higgs boson, we have reached the verge of catching it, we are looking for it, it can take time, we have a blurry picture in front of which we are trying to read and fix the focus. " "If we get God's particle then it will prove that physics science is working in the right direction, on the contrary, if it is proved that there is no such thing then there will be a lot to start with a new start, changing our understanding of science. Will happen." Everything was floating in intervals before our universe came into being, there was no fixed size or mass of something, when Higgs boson came with enormous energy, all the particles started to join each other because of them and the mass was born in them. 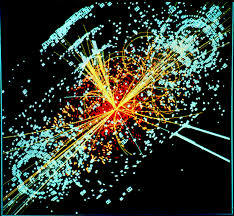 Scientists believe that due to the Higgs boson, galaxies, planets, stars and satellites are created. The scientists divide the fine particles into two categories- permanent and temporary. Those permanent particles are very long like the protons live for billions of trillions of years, whereas many temporary particles become decay in a few moments and become converted into other permanent particles. Higgs boson is a very unstable particle, it was so fleeting that it came for a moment during the Big Bang (great explosion) and it got decayed by giving masses to all things, by using scientific methods in a controlled way, by creating similar conditions on very small scale Hugs Boson came in there. Scientists say that just as the Higgs Boson changes its form before it decay, some of the very fine particles like that have been seen, so hope has emerged that this experiment will be successful. But has Higgs Bosan been found? Discuss the results. Two experiments are going on in CERN to discover Higgs Bosan. They do not see the particles breaking by any microscope. These particles are so small that human beings can not be seen from visible light but they are identified by their behavior and attributes. To identify these, a picture is prepared from the study of conditions after the collision of the particles. After one year of experimentation, both experiments have found a particle which can be Higgs, but the scientists are not saying this by 100% belief. Some scientists, with 94% probability, some scientists are expressing the possibility of having Higgs from 98% probability. Notice, this is the Quantum World, any result here is in probation. This result is good but it is not worth to be completely satisfied. It is something like that we have a dusty picture, which looks like Higgs but it can be of someone else too. But why can not we take the decision? The possibility of having Higgs Bosan with 94% probability seems good, but in Quantum World this is not enough. 6% chance that this result is wrong! Physical scientists are generally excited at 99.9% (4-sigma) and consider it 99.9999% (5 sigma) certified. 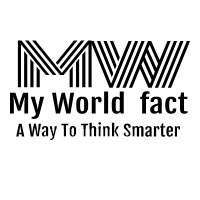 The probability of the result of this probability in the probability of 1 million is 1. But a good news is that there is no proof of the existence of Higgs Bosan on high energy. It is not certain that the Higgs bosan at 125 GeV is or not but Higgs Bosan does not exist on high energy from 125 GeV. It is good that now the scope of the search of Higgs Bosan is becoming narrower. CERN scientists can not say with full confidence that they have discovered Higgs Bosan but they can not even deny its existence. There is a complete possibility that they have found something and they can be Higgs Bosan.